Stories of strength, innovation and legacy from inside one of Canada’s largest hospitals. Sunnybrook Health Sciences Centre in Toronto, Ont. opened in 1948 as a place to care for Canada’s war Veterans. Since then, it has burgeoned into a three-campus health complex that is known around the world for providing leading patient care, conducting cutting-edge research and employing some of Canada’s best and brightest medical minds. 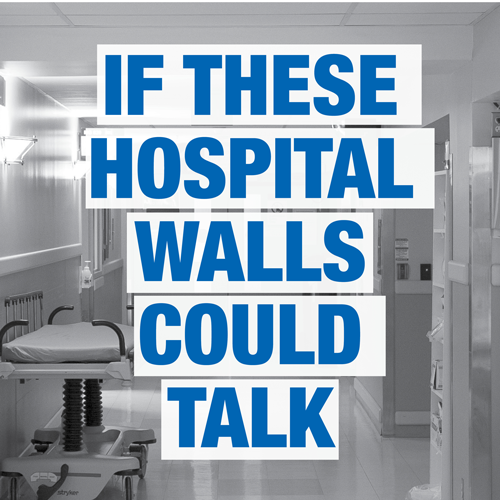 This podcast will peel back the walls of this hospital to share some of the amazing stories from inside and bring you to places you may otherwise never go. What happens inside the hospital when the unthinkable happens outside? A nursing student shares his story. 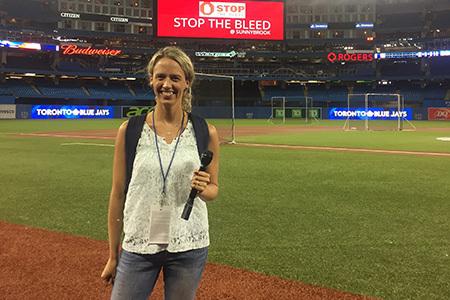 And Sunnybrook's trauma team teach us — and Toronto Blue Jays staff — to Stop the Bleed. Download a transcript of Episode 2. 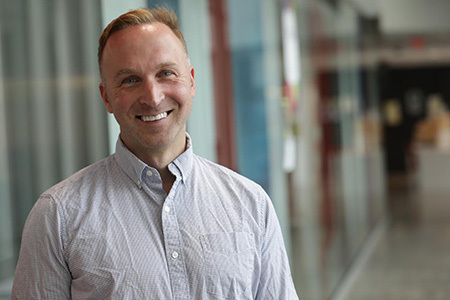 Adam Webster spent 10 years in corporate banking before trading his suit and tie for scrubs and a stethoscope, and returning to school to become a registered nurse. Adam spent his final nursing placement in Sunnybrook's Trauma and Emergency Department. His last day was April 23, 2018 — the day a man drove a white van down Yonge Street, striking pedestrians. Adam revisits the Emergency Department to share his story. 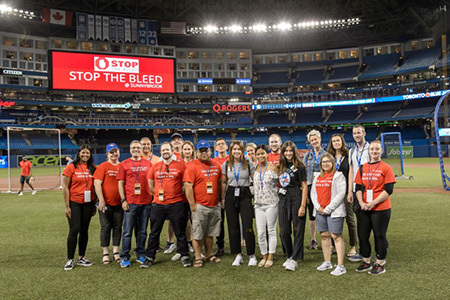 We go behind-the-scenes at the Rogers Centre as members of Sunnybrook's Trauma Team train staff there how to Stop the Bleed. Read more perspectives from Sunnybrook staff about the Code Orange after the Toronto van attack. Read more about Stop the Bleed. Stories from inside the operating room, including a life-saving craniofacial surgery after a metal injury on the highway, and a surgeon who goes beyond these walls. Brenda Coulter and her husband Michael recount the event that brought Brenda to Sunnybrook for more than a dozen surgeries, many by Dr. Oleh Antonyshyn. 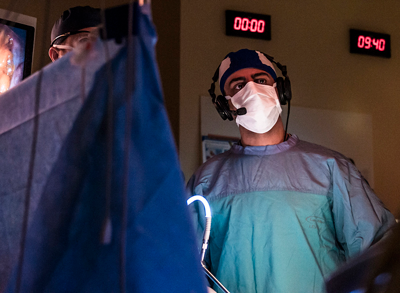 Dr. Shady Ashamalla takes us inside the OR for minimally invasive surgery. 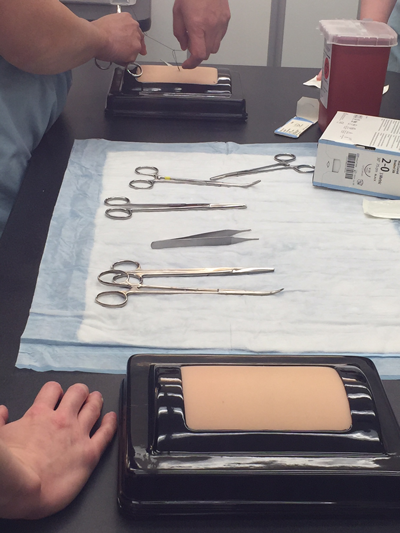 And Dr. Grace Liu breaks down surgery skill-by-skill for some medical residents. Dr. Oleh Antonyshyn and a team of healthcare providers help rebuild the faces and lives of soldiers injured in Ukraine. Read more about Brenda’s latest surgery (her 13th). Read more about gynecologic surgery. As communications professionals at Sunnybrook, Sybil Millar and Alexis Dobranowski hear many stories from patients, staff and researchers and see parts of the hospital that aren’t easily accessible. They are very often blown away by what happens in this hospital, and the strength and courage of both the people who find themselves at Sunnybrook during what may be the worst moment of their lives, and those who care for them. Sybil Millar honed her interviewing and storytelling skills while working as a recruiter. After completing a master’s degree in communications, she joined Sunnybrook’s public relations team in 2011. She’s been lucky enough to work with a variety of interesting people and programs around the hospital, including Brain Sciences, Women & Babies, Critical Care, Infectious Diseases and the Ross Tilley Burn Centre. Sybil is always on the lookout for interesting stories and research to share, to help people better understand what goes on in a huge teaching hospital. Her most memorable day at Sunnybrook was watching a patient drink a glass of water on his own for the first time in 20 years, after being the first-ever patient to receive high-intensity focused ultrasound (HIFU) to treat a severe essential tremor in his hands. Alexis Dobranowski is a teacher-turned-journalist who started at Sunnybrook in 2011. At Sunnybrook, she combines her innate curiosity and love of learning with her desire to tell use storytelling to help people better understand their health and treatment options. Alexis currently works as a communications advisor to the Odette Cancer Program after having the privilege of working with the Holland Bone and Joint Program, the Schulich Heart Program and Education portfolio during her time at Sunnybrook. She’s had a lot of unforgettable days at Sunnybrook, including the day she invited 40 Grade 10 science students to watch surgery live (via video link), and the hot summer day when staff gathered on the lawn to sing “Courage” for Gord Downie. Do you have feedback on the show? Is there a topic you’d like us to cover? Fill in the comment box below.